Hi everyone I am Steve and been on the “busting belly fat” pursuit for the last 12 years in myself and others. I come from a fitness background and I Have helped many people up and down the country to become more healthy and maintain the desired weight, at the same time battling stubborn belly fat myself, I can appreciate how hard it is I have been underweight, overweight and the right weight of where I have wanted to be. A few years ago I developed depression and was in a real bad place I used exercise to pull myself through the dark times and I strongly believe anyone can benefit from a healthier lifestyle. I have created this site to help folk like yourself understand the pitfalls, scams and downright dangerous ways the lengths people will go to achieve that “perfect body” I have discovered through the years from my own and others “trial and error” that there is a no magical pill that will work overnight. This site is aimed at educating and inspiring each other. 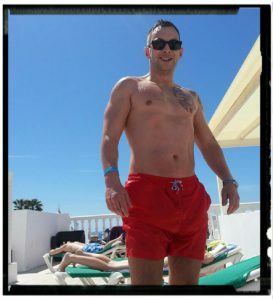 I would like to ask that if anything on this site motivates you, concerns you or inspires you to get involved leave comments as all feedback is welcome what might work for me might not work for you but together we can bust that belly fat. Anyways that’s me and I wish you all the best in this journey to being healthy and living a much better quality life for yourself and any loved ones.